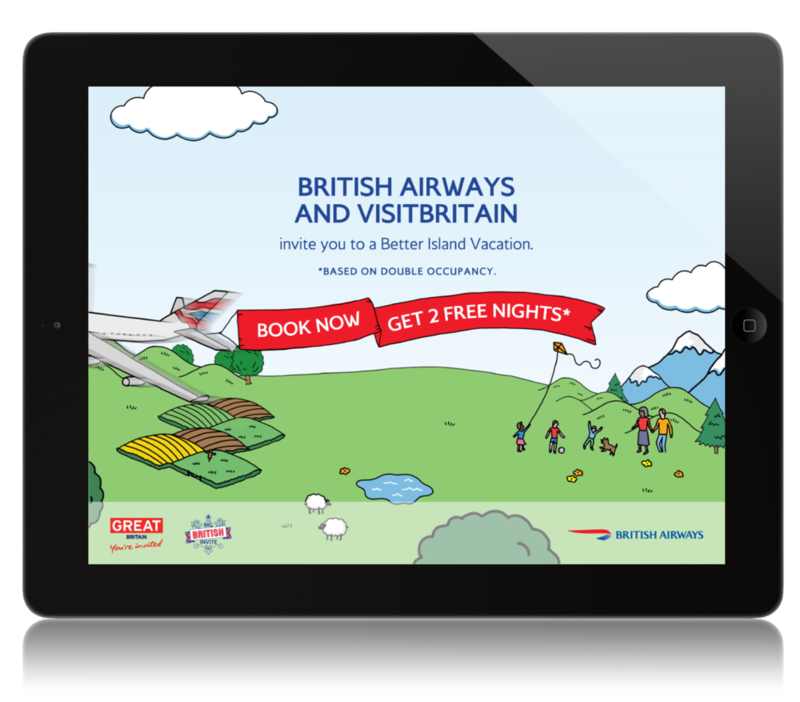 British Airways has a partnership with the Visit Britain tourist board and wanted to encourage tourism to the UK, and of course, fly British Airways there. The challenge was how to sell traveling to the UK during the notoriously difficult and unappealing winter months. Knowing that most messaging this time of year would be around typical island vacations, we decided to play off that – after all, the UK is an island. Thus, The Better Island Vacation campaign was born where travelers are urged to for go the generic, cheesy, canned island vacation for one that was full of far more note worthy and unique experiences. Expressed in a fun illustrative style, reminiscent of resort maps and through a special wrist band - playing off all-inclusive style resort bands. Signing up for the Better Island Vacation wrist band gains travelers access to even more exclusive experiences and offers in the UK. The campaign also included some great tablet ad work, which allowed users to pan through a curated island experience by tilting the tablet.